BC Unclaimed Property Society | Reuniting British Columbians with their forgotten unclaimed assets. that has not had contact with the owner for an extended period of time. WAITING TO BE CLAIMED IN BC? lists over $153 million in unclaimed funds, including some dating as far back as 1859. Do you have money sitting in an unclaimed or dormant account? Each year, millions of dollars in British Columbia goes unclaimed in dormant credit union accounts, forgotten insurance payments, unclaimed wages, overpayment to debt collectors as well as unclaimed proceeds from courts, tax offices and unadministered estates and intestates (death without a will and next of kin cannot be notified). 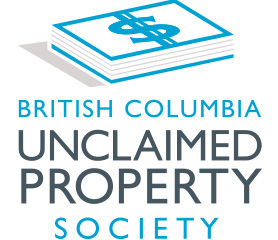 The British Columbia Unclaimed Property Society (BCUPS) helps reunite British Columbians with their forgotten or unclaimed assets. We hold unclaimed property as the custodian for rightful owners under the Unclaimed Property Act. Our office assists holders of unclaimed property to locate the rightful owners as well as those searching for unclaimed funds. Our searchable database allows members of the public to identify whether unclaimed funds are held in their name. There is no limitation period to claim funds from BCUPS – monies are always available to the rightful owner – and there is no cost for our service.